Did you know calico isn’t a breed, it’s a color? Find out more facts about calico kittens and learn everything you ever wanted to know about them! Calico kittens are best known for their beautiful, colorful coats. However, there may be some things you don’t know about Calicos. For instance, did you know Calicos aren’t a specific breed of cats? Or that Calicos are almost always female? Read on for some of our favorite fascinating facts about these fabulous felines! Calicos are not an actual breed of cats, but instead refers to their color pattern. Calico cats must have a color pattern of white, orange and black. 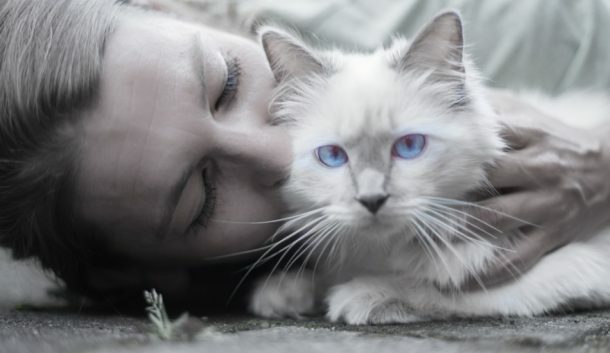 The most common breeds of cat that may feature the colors of a Calico include American Shorthair, Japanese Bobtail, Manx, Norwegian Forest, Persian, Siberian and Turkish Angora. 99.9% of Calicos are born female. In order for a cat to have the 3 Calico cat colors, they need to have two X chromosomes. Cats that have these two X chromosomes are born female, since males feature a pair of XY chromosomes. Only 1 in 3,000 Calicos are male. Those that are born male have a condition called Klinefelter’s Syndrome, which causes them to be sterile. Throughout history there have been several famous Calico cats. Pudge the Cat is a social media phenomenon, with 674,398 followers on her Instagram account. Pudge the Cat is a female Exotic Shorthair cat from Minneapolis, Minnesota. The famous children’s poem- The Duel, which is also known as The Gingham Dog and the Calico Cat- by Eugene Field, talks about a Calico cat. And the 1939 book- Old Possum’s Book of Practical Cats- by T.S. Eliot, which inspired the musical, Cats, features a character, Demeter. Demeter is a Calico cat that is black and gold colored, with patches of white and orange. Maneki Neko is a Japanese cat statue, meaning- beckoning cat. It is a Japanese Bobtail Calico cat statue that features one of its paws raised and waving. Maneki Neko is also called the Beckoning Cat, Welcoming Cat, Money Cat and Lucky Cat. It is believed that the statue brings good luck to its owner. On October 1, 2001, the state of Maryland named the Calico cat as the state’s official cat. 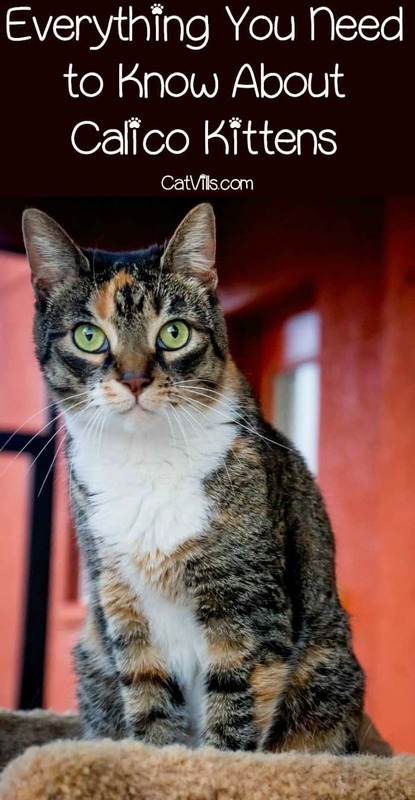 The Calico cat was chosen because its coloring of white, orange and black are also shared with the Baltimore Oriole, Maryland’s state bird; the Checkerspot Butterfly, Maryland’s state insect and the Baltimore Orioles, Maryland’s professional baseball team. If you’re as in love with calico kittens as we are, head to your local shelter or rescue group to see if any are waiting for forever homes! Better yet, consider adopting an older cat! They are just as lovable as kittens and often get overlooked. Do you know any other cool facts about calico kittens? Tell us below! I did not know this breed but it’s surprising how many interesting facts there are about it. And that cat in the first pic is just so beautiful! What an interesting post, I never knew anything about this teed of cats, infact I don’t know much about cats at all so your post makes an interesting read. A very good read and very interesting about finding out about this breed of kitten. Wow that is interesting to know. I didn’t realise 99% of Calicos are females. How is that though if they have to breed? It’s interesting/surprising that 99% of this breed is female :O. I love how beautiful they are! Wow…. This is a very interesting post in breed of cat. Although am not an animal lover but this great post is awesome.